BuySoundtrax Records is pleased to announce the release of GAME OF THRONES – MUSIC FROM THE TELEVISION SERIES, featuring new recordings of music composed by Ramin Djawadi (IRON MAN, CLASH OF THE TITANS, PACIFIC RIM) for the enormously successful HBO show based on the books of author George R.R. Martin. 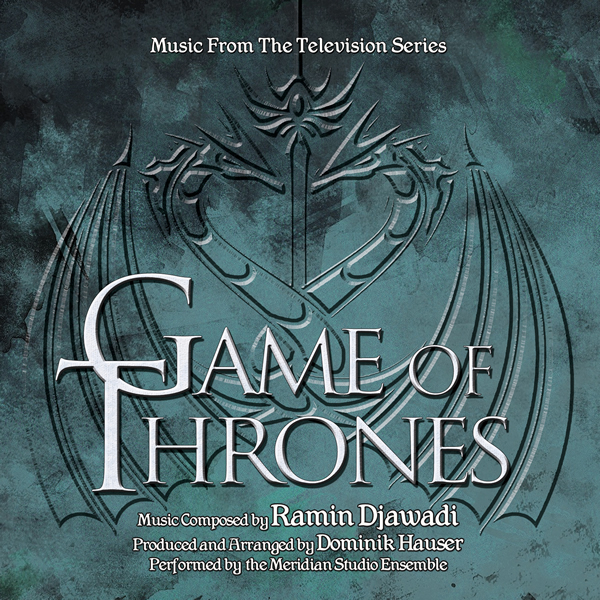 With GAME OF THRONES – MUSIC FROM THE TELEVISION SERIES, BuySoundtrax Records presents an overview of the music composed for the show across its first four seasons, with new performances produced and arranged by Dominik Hauser and performed by the Meridian Studio Ensemble. According to Hauser, “I tried to be very faithful to the sound of the scores as you hear them on the show,” said Hauser. “But I decided early on that I didn’t want to have that same kind of compressed sound that you hear in the television mix. It’s not as pleasant as a listening experience on its own. I decided to give it more depth.” The end result is a combination of sampled orchestral sounds embellished by live brass (mostly trumpet and trombones) and live cello. “Our objective was to put together a package of some of the score’s most interesting elements, and I’m very happy with what we came up with,” Hauser said. “As a listening experience from the beginning to the end, I think it makes a nice arc. As a bonus, Hauser put together an 8-Bit version of the Opening Theme – kind of the Atari version of the GAME OF THRONES main title. “We thought it would be a fun little nod as a joke,” Hauser said. The album closes with a new version of “The Bear and the Maiden Fair,” a bawdy folk song from the novels that was set to music for a few key moments in the show’s third season. This new version is sung with similar gusto by singer Brian “Hacksaw” Williams, a frequent collaborator of Dominik Hauser. The music for GAME OF THRONES is by Ramin Djawadi. A composer of Iranian and German descent, Djawadi was born in Duisburg, West Germany in 1974. After graduating from Berklee College of Music in 1998, Djawadi pursued opportunities in film scoring. He came to the attention of Hans Zimmer, who offered him an apprenticeship at Remote Control Productions. Since then, Djawadi has become a successful composer of blockbuster films on his own, best known for IRON MAN (2008), CLASH OF THE TITANS (2010), PACIFIC RIM (2013), and DRACULA: UNTOLD (2014). It was the ethnic influences and thematic style Djawadi had brought into CLASH OF THE TITANS and his MEDAL OF HONOR game scores that prompted the producers of GAME OF THRONES’s producers to bring him onboard the project. 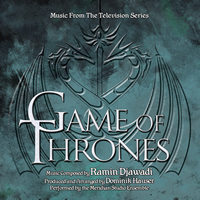 GAME OF THRONES – MUSIC FROM THE TELEVISION SERIES includes liner notes written by author Randall Larson providing insight into the creation of the music. GAME OF THRONES – MUSIC FROM THE TELEVISION SERIES is a limited edition release and is now available from www.buysoundtrax.com.